If you're into female-fronted Blues Rock in the vein of Blues Pills, you should check out Hannah Wicklund And The Stepping Stones. This is certainly recommended. As soon as the distorted sonic attack of opener 'Bomb Through The Breeze' came out of my speakers, this album got my attention. I had no idea who Hannah Wicklund And The Stepping Stones were, and I had no clue they were from the States or that this self-titled effort was their third album. From the power chords and confident voice, I certainly didn't bank on Wiklund being the guitarist, lead singer and song-writer... and she's only twenty years old. Wiklund is no newcomer though; with two previous albums and a whopping two thousand gigs under her belt, she has a confidence in her vocals and playing that belie her years. 'Ghost' is a superb meeting of Classic Rock and Blues, while there is a vague Jimi Hendrix vibe about the impressive 'Looking Glass'. The phenomenal 'Too Close To You' is a real high point, but Wiklund is just as at home on the genteel 'Strawberry Moon'. 'Meet You Again' has a dreamy guitar style that has echoes of prime Led Zeppelin, whereas album closer 'Shadow Boxes' shows that the group can handle acoustic fare with panache. You know an artist is the real deal when they are so young and yet they have already racked up performances alongside established acts like The Outlaws, Jefferson Starship and Kansas. After listening to songs like 'Mama Said', the punchy 'On The Road' and the rumbling groove of 'Crushin'', it's easy to imagine these veterans being as impressed as I am. 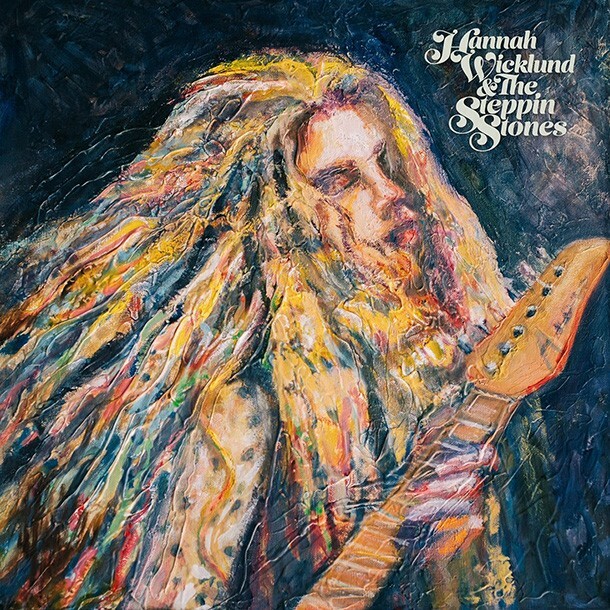 If you're into female-fronted Blues Rock in the vein of Blues Pills, you should check out Hannah Wicklund And The Stepping Stones. This is certainly recommended!